After being out in the city all day, wouldn’t it be nice to walk into your place, shut the door behind you and breathe a deep sigh of relief? Living in a vibrant urban area can be enriching and exciting, but it can also drain you. And if you come home to a space that is crammed with too much stuff, where you can hear noisy neighbours and cars honking, and see light from the street lamps shining into your windows at night, finding the peace and quiet you crave can prove difficult. These 10 ideas will help you reclaim your home as a space in which to recharge. 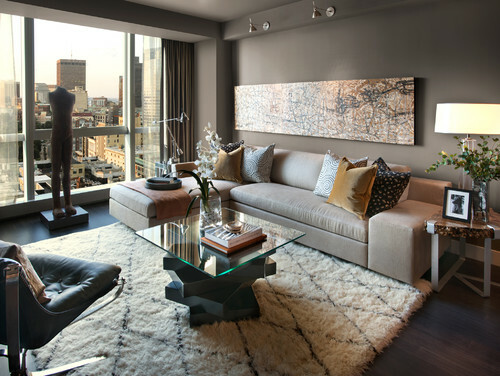 With so much visual stimulation on city streets, it can be a relief to come home to a space that is calm and serene. 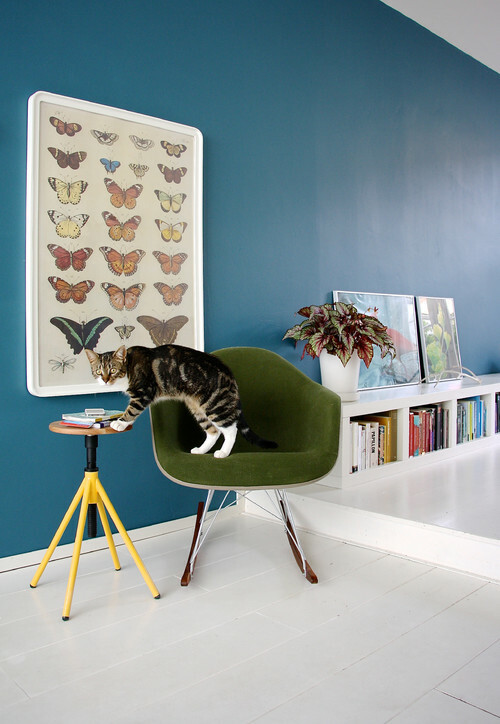 Colour can go a long way toward creating a serene environment. 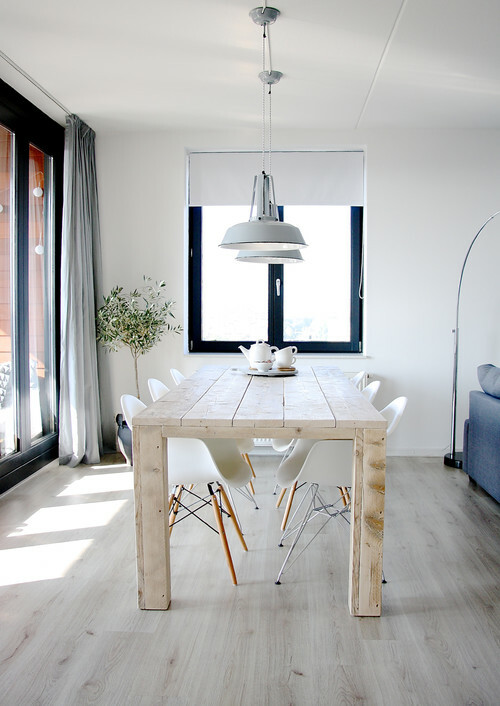 Think of silvery greys, blues, natural wood tones and white. Pale lilac, soft sage green or warm pink can also be soothing; go with the colours that make you feel relaxed. 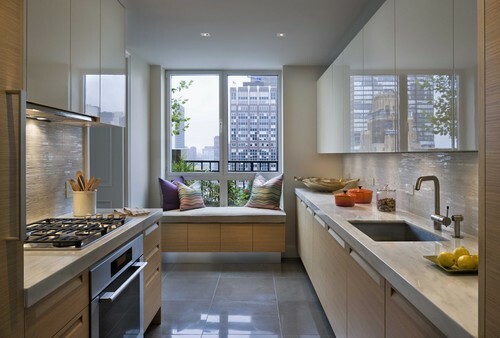 In the kitchen and living areas, where privacy is not as much of a concern, consider using café curtains. Covering the lower half of your windows will provide a sense of privacy where you want it most, while still allowing sunlight to stream in from above. Full-length drapes or shades with a blackout liner are essential in bedrooms, particularly if you have trouble sleeping with light from street lamps slipping into your room all night. If your neighbors are very close, you may also want to cover any large windows with full-length sheer curtains that can be drawn during the day. Investing in a few soundproofing measures can be well worth the cost and effort if you live in a very noisy neighbourhood. Take a cue from posh hotels, which do a fabulous job of soundproofing, and add fabric-covered acoustic tiles to the walls or ceiling, and choose double- or triple-pane windows to block street noise. Layers of textiles, like thick, fluffy rugs on the floors and heavy drapes, can also help buffer sound. 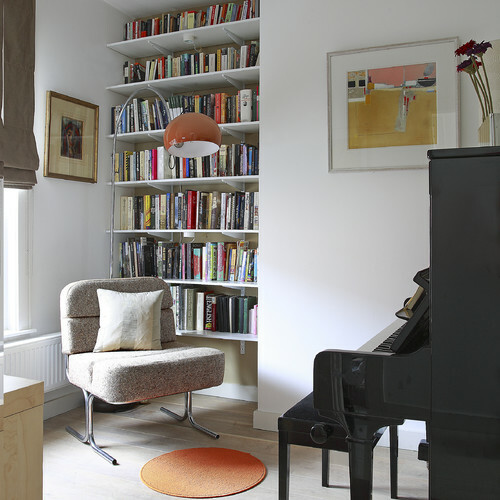 For an alternative to acoustic wall tiles, try using a book collection as soundproofing material. The more, the better, so go ahead and fill an entire wall with books. Bring in potted plants, trays of succulents and air plants, huge potted trees, cut flowers and forced bulbs. Challenge yourself and see if you can add a plant or bouquet of flowers to every room in your home. Can’t get anything to grow? Consider shopping for a few high-quality fakes - there are some extremely realistic ones on the market now, and simply having something green in the house can be better than nothing. If you’re able to give a pet a good home, he or she can do wonders for making your city place feel more relaxing. If a cat isn’t an option, even watching fish swim in a tank can be a wonderful way to de-stress. Daily life in the city tends to involve lots of artificial materials, slick plastics and high-tech metals. Incorporating a wide range of natural materials and textures into your space will help you revive once you’re home. Try wool, sisal or cotton rugs; natural linen; stacks of logs; polished wooden tables; beeswax candles; and collections of shells and stones. Long and low shapes invite lounging and relaxation. 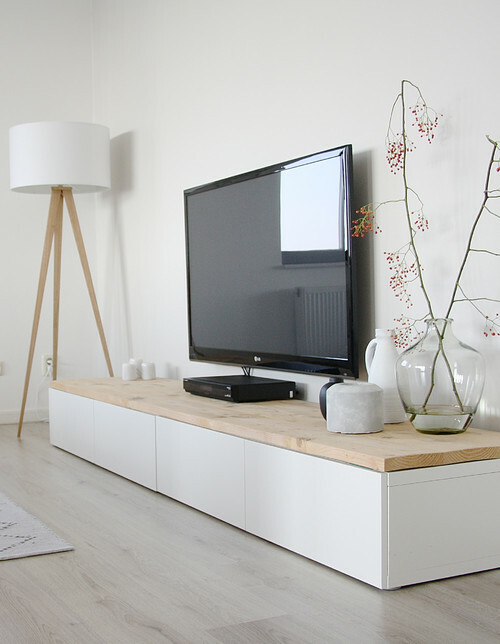 Choose a low-slung sofa, a long and low entertainment centre or credenza, and a platform bed. Enhance the serene, Zen vibe with a simple white and wood colour palette, large vases holding branches and plenty of comfortable cushions. There is something romantic about tucking up to a window and gazing out at the city. Fit in little window nooks wherever you can. Try a seat with plump cushions or put a writerly little desk squarely in front of a window looking onto the street, Carrie Bradshaw–style. 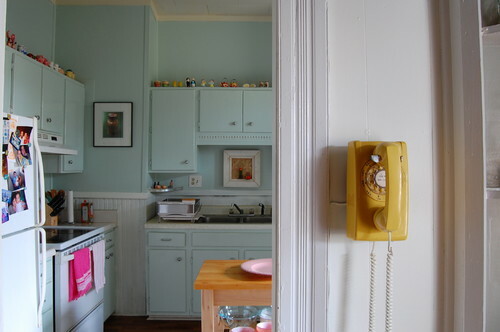 Embrace retro technology, like a rotary phone, a record player or a grandfather clock. Living all high tech all the time can be exhausting -sometimes simple is refreshing. No matter the size of your space, if you live in a city, it’s essential to keep your interior as clutter free as possible. The world out there is fast, loud and jam-packed with visual stimulation. 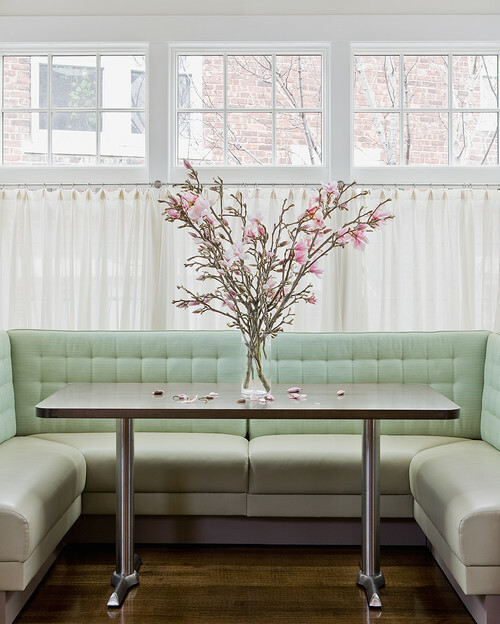 Imagine your home as an oasis that embraces the exact opposite feeling: serene, quiet and restful. Whether you have a back garden, small terrace, balcony or fire escape, do what you can to enhance privacy in your outdoor space. Build an enclosed seating area with a trellis or fencing, or surround your seating area with tall foliage. 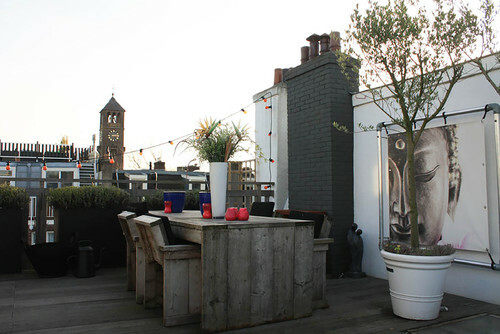 Place a small fountain outdoors to help mask noise from the neighbours, and add proper lighting for ambience at night. Personalise your outdoor space with artwork, vases of flowers or potted plants, colourful candles or lanterns, and interesting furniture. Paint an exterior wall or fence a bold colour and prop up a mirror to make the space seem bigger. 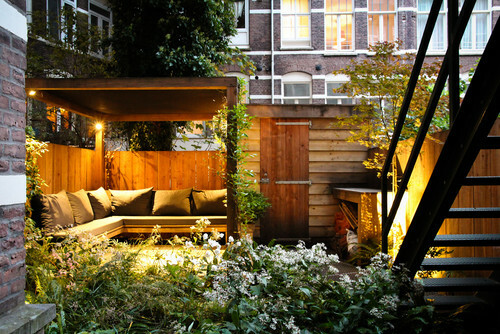 Even a small outdoor space can be a refreshing, nourishing hideaway.